Plymouth, Wisconsin. 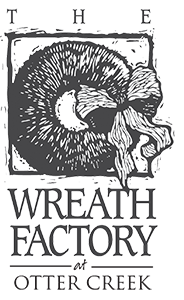 The Wreath Factory began in 1983 to raise funds for a small Wisconsin 4-H club. Owner Michael Beeck made wreaths for the groups to sell at Christmas. In those early years, Michael and his crew of family and friends would make the wreaths in a shed with no running water or heat. Since then, the business evolved into a 16,000 square-foot destination home and garden showroom with a full-scale landscape design and building firm. 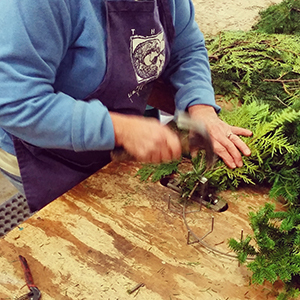 The Wreath Factory remains the source for fresh holiday wreaths and greenery. In 2006, a sister store opened in downtown Menasha, Wisconsin.